The 2013 season has been quite a successful one for the Club's Mens 'A' bowling team. • First they were runners up in the Knutsford League, ensuring promotion to the next division. • They also reached the final of the Alderley Gents Knockout cup. • Club bowler Alan Potts reached the final of the Kenworthy Cup. • While Irvine MacDonald and Mike Bradley reached the final of the Gents Pairs. 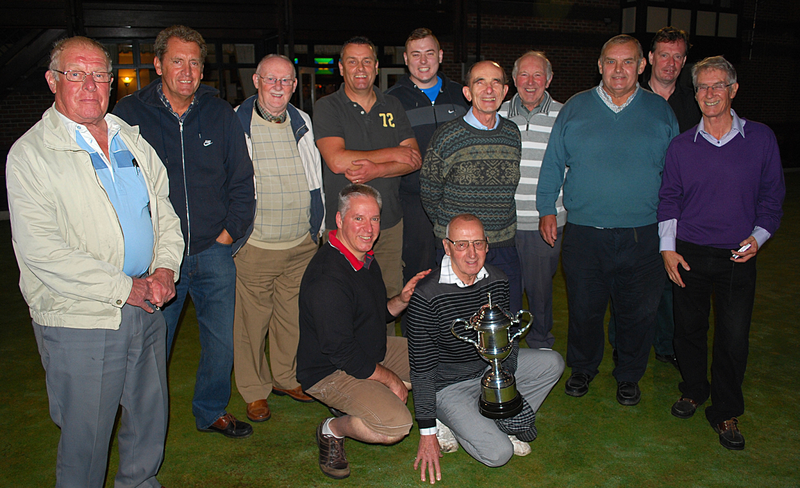 • And the picture below shows the 'A' team after winning the Club's inaugural Presidents Cup challenge.